The Caffeum Perfectus sweetPOINT Espresso Machine. Perfect for small or medium size office spaces. Uses Espresso Point espresso capsules only. Also has milk frothing capability. 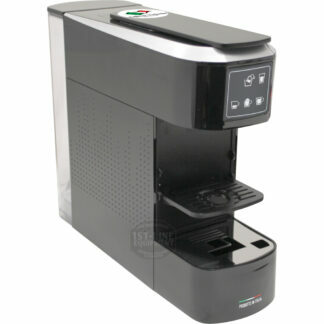 Easy loading: Lifting the top lever reveals the slot where you insert your Espresso Point capsule. Easy discarding: The front drip tray slides out from the unit. Behind the tray is the container where the spent capsules drop after use. Holds about 15 capsules max. Simple controls: Four simple buttons for different beverage options including small or large coffee, milk frothing, or instant soluble option (ex. hot chocolate mix). 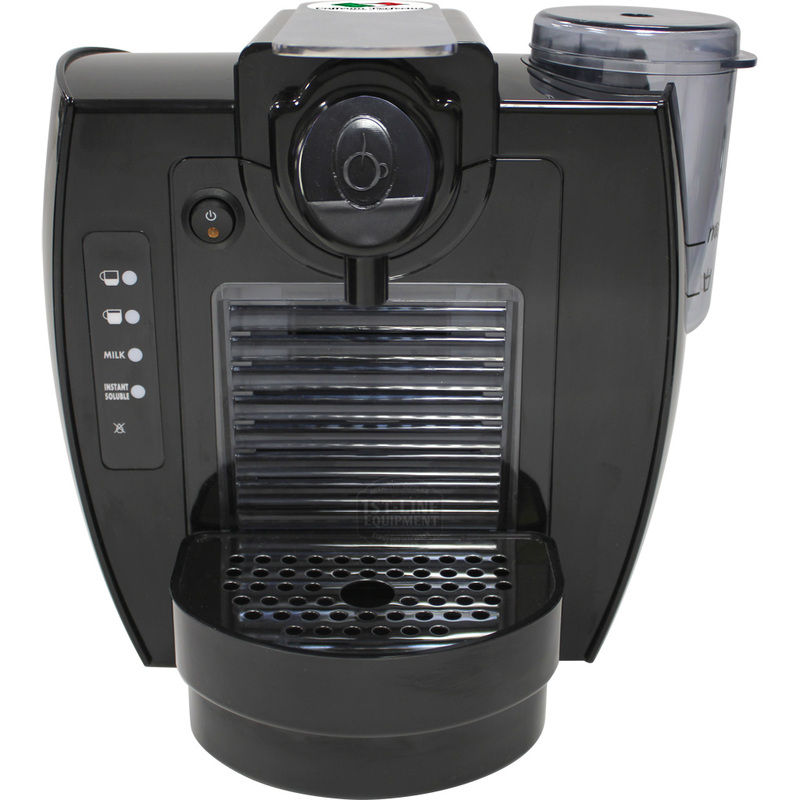 Each coffee button is programmable with easy instructions in the manual. Milk frothing: The clear round container on the right is for “frothing” your milk. At the bottom of the container is a whisk that foams up the milk. Instant soluble: Add your instant soluble mix and milk to the round container. Slim design: Lightweight and compact. Also at 10.5″ in height (16.5″ with top lever open), overhead cabinets won’t be an issue. Drip tray: Large capacity. Connects to the used capsules bin for extra spillage space. 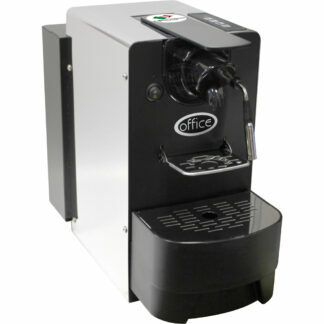 Cup clearance: Can accommodate any size cup up to 4.5″ in height. Water softener: Attaches inside the water tank. Helps prevent limescale buildup in your Caffeum Perfectus sweetPOINT.